Rio en Medio is the musical adventure of Brooklyn-based singer/ukulelist Danielle Stech-Homsy. Armed with her baritone ukulele and a gorgeous voice, she is the latest to join the inspiring Gnomonsong label, with this February's release of The Bride of Dynamite. I recently became familiar with A Bride’s Guide to Waiting Music, Stech-Homsy’s self-released 2004 treasure, and I was blown away. 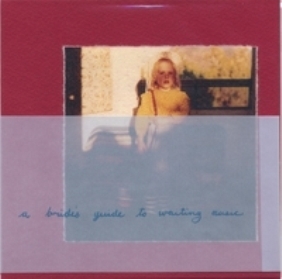 A Bride’s Guide to Waiting Music, is a collection of poems and stories sung in the most delicate and fragile of voices, set to ukulele strumming, audio loops, found sounds and layered vocals, all packaged into one of the prettiest albums I’ve heard in a long time. With influences from techno to traditional folk to early and contemporary classical, the music presented here is best left to experience, but I will say, be prepared to fall in love. Below are three tracks from this release and make sure to be on the lookout for The Bride of Dynamite in early 2007.